The UK is still in the EU alongside Germany, yet recently I was surprised when working with a German accredited Mediator how practices and techniques differ greatly between our two countries. Lack of awareness of these differences could easily give rise to loss of trust in the process or the other party. First, in England it is usually expected that each party will begin in a separate room and have a “pre-mediation chat” with the mediator. In Germany, such practice may raise questions of bias and lack of neutrality on the part of the mediator. A German Mediator will almost always invite both parties to begin in the joint room together straight away. And there, in Germany, they are likely to remain, for some time. This is in contrast to the English preference in civil mediations to move to private caucuses (meetings) at an early stage after a joint open session (if such session even happens at all). During this joint open session under the German Model it is likely that parties may express emotion, probably more so than they would be encouraged to do so in England. “Venting” is given more merit in Germany than often is the case in England. Indeed a core part of the lengthy German Mediation Training is a module in Non-violent Communication as advocated by Marshall B. Rosenberg, PhD. (An excellent communication model used to negotiate peace treaties and with terrorists, yet to play a part in English Commercial Mediation training). So from this we may glean that a German mediation is more likely to be direct and face to face than in England. If as a party you doubt whether you will be able to express your emotions well at mediation, fear not. Some German Mediators engage the technique of “doubling”. This involves the mediator kneeling next to the party and seeking to express their emotions for them. The party will advise if they have got it right, wrong, or almost right. What about the language of the mediation? This should be agreed at the outset, and stuck to. Some international disputes use a mediator that can speak two languages fluently. However for certainty it is best to keep all discussions in one language. What role is the mediator likely to adopt? In England the purist approach is the mediator is a facilitator, who will enable communication between the parties and assist people in dispute to assess their case and the other party’s case. Many mediators will go further and either subtly (by questioning and body language) or overtly evaluate the strengths and merits of each party’s case. In Germany, the mediator will start being facilitative and might later ask the parties whether they wish an evaluative approach. Mediation is certainly a more cost effective and quicker way to resolve disputes than going to court. The cost of a mediation in England will vary depending upon the experience of the mediator, the value of the dispute and other factors such as the complexity of the issues and the number of parties in dispute. 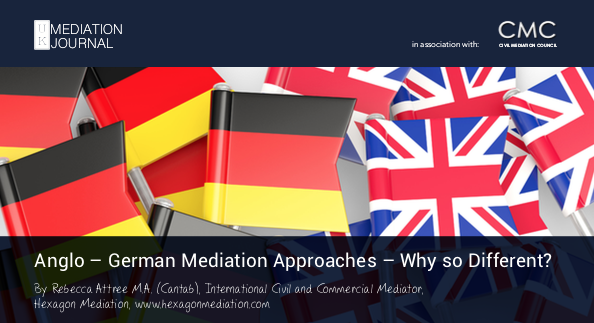 Whatever that amount may be, a mediation in Germany is likely to be cheaper, since the mediator’s overheads and venue costs are usually lower. 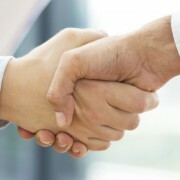 If the language of the contract being disputed and the working language of the parties is English, it is best to have a mediator who has an excellent command of English. I was recently asked how ethical it is if one party is speaking in a foreign language and you understand it, but do not divulge this to be the case. I believe such disclosures should be made at an early stage to avoid any breach of trust arising. However not every culture would take such a transparent approach… So ascertain at an early stage the linguistic skills of those with whom you are mediating if you are planning to have discussions in a language other than the one designated for the mediation. Finally “getting on with it”. The main remedy before a German Court for breach of contract is specific performance. Something that is rarely ordered by the English courts, who more readily award monetary damages. Therefore expect a German business to come to mediation with a mind set borne from that legal approach. They will most likely expect the failing party to remedy any defects and execute the contract. Money alone is unlikely to solve the dispute. In international mediations even more care should be taken than in domestic ones not to jump to assumptions and to find out the approaches a mediator is likely to take well in advance.